Cotton knee socks for toddler boys in bisque - a pale tan - from Piccolo Socks. These socks are 75% cotton 20% spandex and 5% elastic. Ships in 1 day unless combined with other items that require more time prior to shipment as stated in the product description. 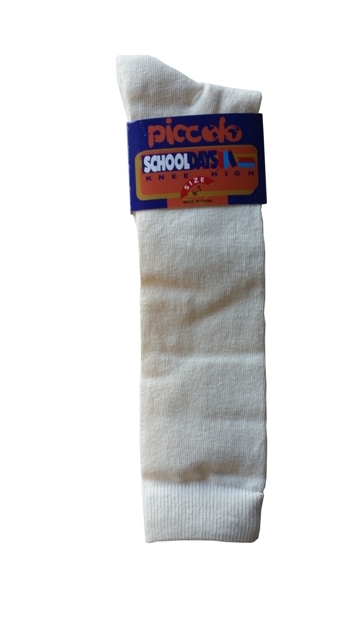 Nice quality cotton socks for boys shorts suits and knicker sets. School Uniform label. Sock size 5 - 6 fits ages 1 to 2 years and sock size 6 - 7 fits ages 2 to 4 years approximately.